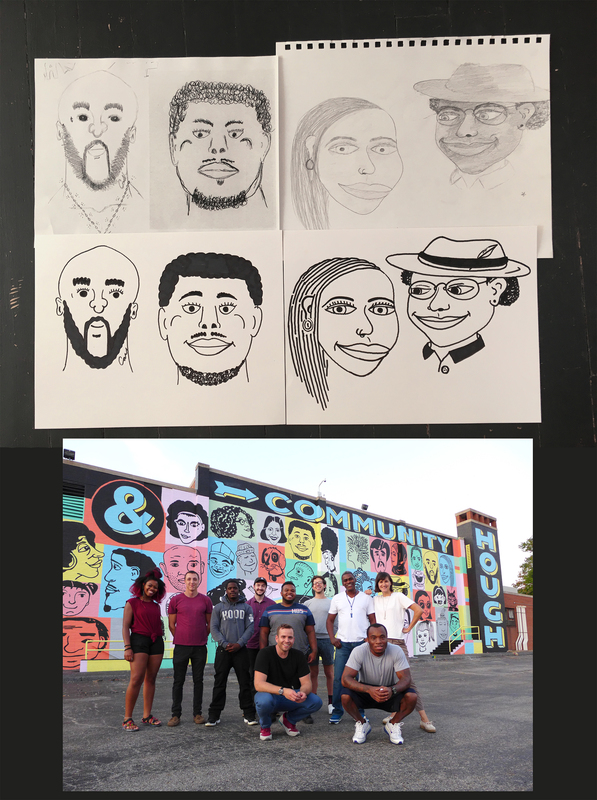 In 2017 I designed educational design and illustration classes for 15 clients at Community Based Correctional Facility (Cleveland, Ohio). As part of the course we collaborated on a mural. The clients focused on self-portraits, portraits of loved ones etc. This image exemplifies the collaborative process of translating three client's works, which would later be painted on a 130ft. x 40ft. wall. I think if we really want to diversify the fields of illustration and design, we have to look at fair distribution of technology, resources, and educational opportunities. Low-income or incarcerated individuals are disadvantaged, making commercial illustration and design exclusive entities.